The International Energy Agency Bioenergy Agreement was initiated as the Forestry Energy Agreement in 1978. It was expanded in 1986 to form the Bioenergy Agreement. Since that time the Agreement has thrived with some fifteen countries (Austria, Belgium, Canada, Denmark, Finland, Italy, Japan, Netherlands, New Zealand, Norway, Sweden, Switzerland, United Kingdom, United States and the CEC) currently being signatories. The objective of the Agreement is to establish increased programme and project cooperation between the participants in the field of bioenergy. The environmental consequences of intensive forest harvesting have been the subject of intense interest for the Agreement from its initiation. This interest was formulated as a Cooperative Project under the Forestry Energy Agreement in 1984. 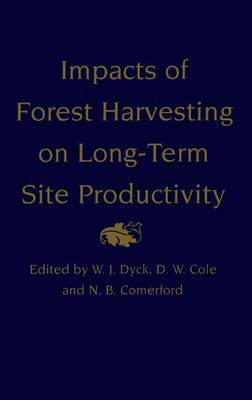 It developed further under each of the subsequent three-year Tasks of the Bioenergy Agreement (Task III, Activity 3 "Nutritional consequences of intensive forest harvesting on site productivity", Task VI, Activity 6 "Environmental impacts of harvesting" and more recently Task IX, Activity 4 "Environmental impacts of intensive harvesting". The work has been supported by five main countries from within the Bioenergy Agreement: Canada, New Zealand, Sweden, UK, and USA. The continued work has resulted in a significant network of scientists work- ing together towards a common objective - that of generating a better under- standing of the processes involved in nutrient cycling and the development of management regimes which will maintain or enhance long term site productivity.